Heather earned her Master's degree in Speech Pathology at State University of New York, College at Geneseo in 1989. Heather has been employed as a speech language pathologist for more than 20 years in health care and has worked in the U.S. as well as in Canada and Bermuda. 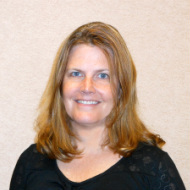 Heather's expertise centers around neurogenic communication disorders, with particular passion for working in the field of aphasia and cognitive rehabilitation. She provides direct clinical services in a large teaching hospital as well as instructing and supervising graduate students at a local college. Heather has presented to a variety of local groups and she is the recipient of many ASHA awards for continuing education (ACE). Heather joined Simon Carson at Cognitive Innovations, LLC and worked with Simon to develop the Standardized Touchscreen Assessment of Cognition (STAC). Heather's goal is to continue to develop assessment and treatment tools which facilitate optimal care for individuals with cognitive impairments. Simon earned his Masters of Science in Occupational Therapy from Ithaca College in 2001. Since then, he has gained experience as an OT in several settings including acute care, inpatient rehabilitation, outpatient and sub-acute rehabilitation. The majority of Simon's experience has been in a level 1 trauma center, with an emphasis on quality care in a fast paced environment. Simon's clinical areas of expertise include spinal cord and cognitive rehabilitation. He has held a leadership position for over 10 years, and thrives on improving systems and processes related to the health care environment. Simon attended the William E. Simon Graduate School of Business earning both a Masters in Medical Management and a Masters in Business Administration. He has taught courses for Ithaca College and has guest lectured at Keuka and Nazareth Colleges. Simon is the co-founder of Cognitive Innovation, LLC and the Standardized Touchscreen Assessment of Cognition. 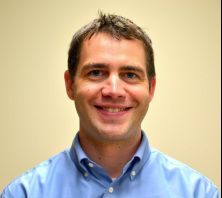 His vision for the company is to develop innovative tools that allow therapists the ability to improve patient care. Send us an e-mail, or use this form to contact us directly.